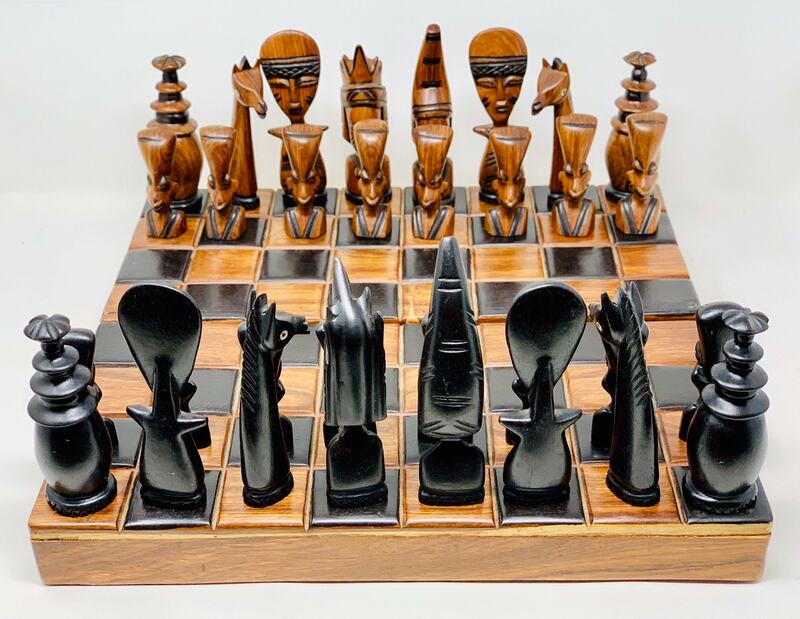 Ancient chess from Central Africa from one of the most famous markets in Senegambia. 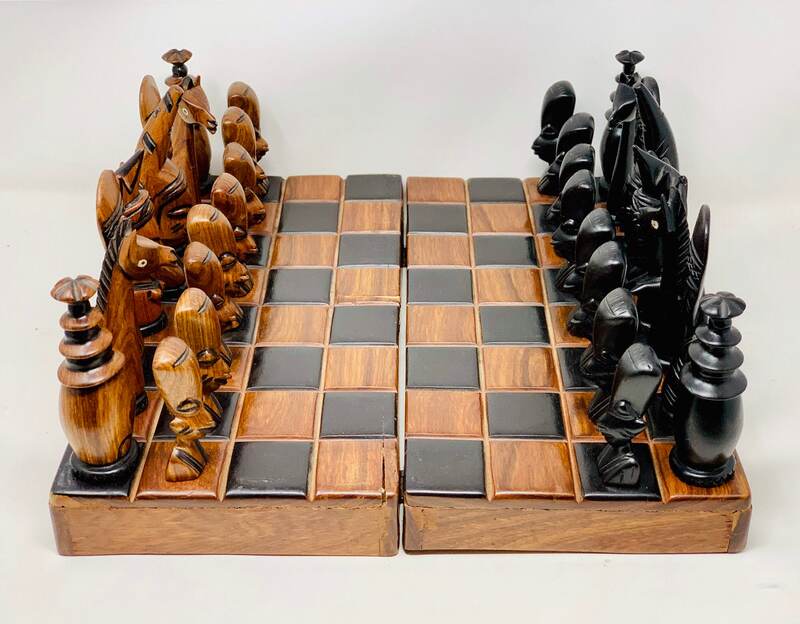 Museum item numbered inside. 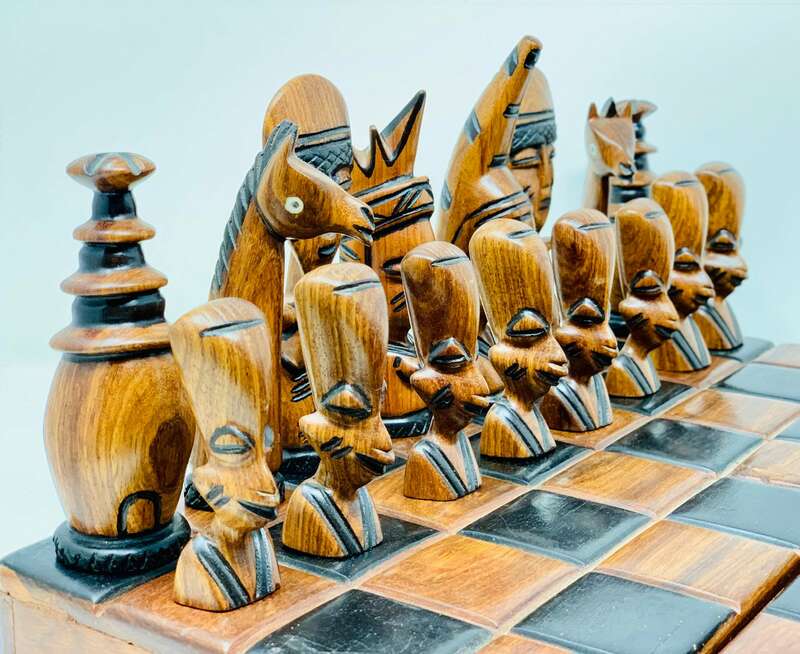 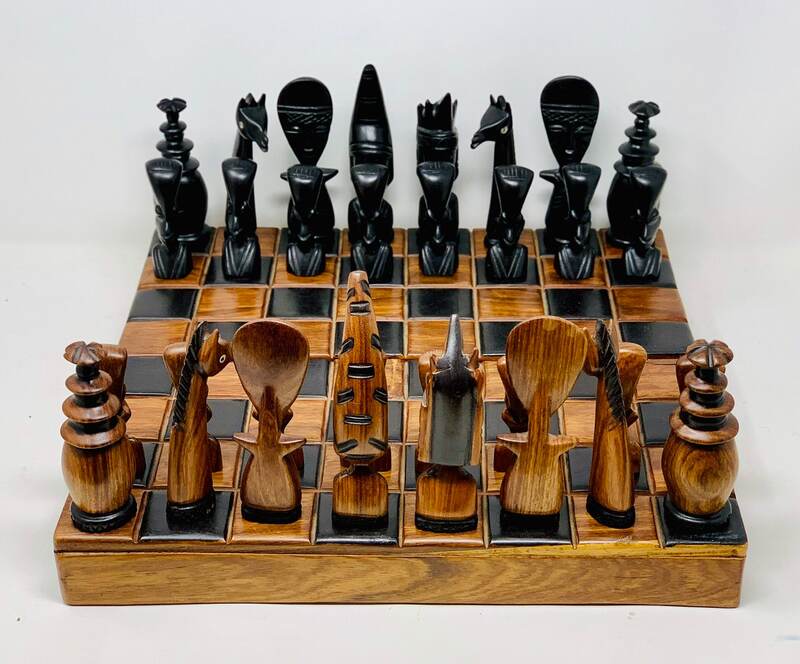 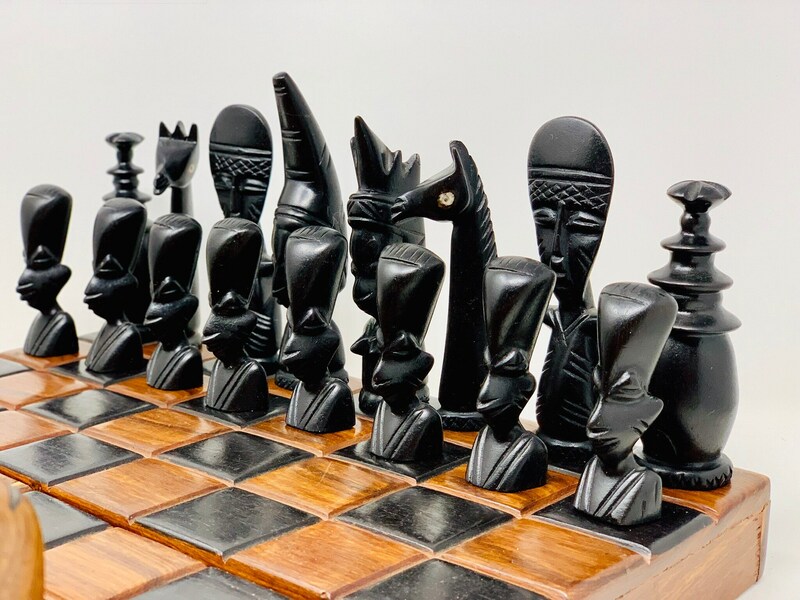 This chess made by one of the artists belonging to the Mangbetu tribe of Kongo located in Kinshasa represents the carved and handcrafted carvings of the Monbuttu tribe that lengthened the heads of their members. 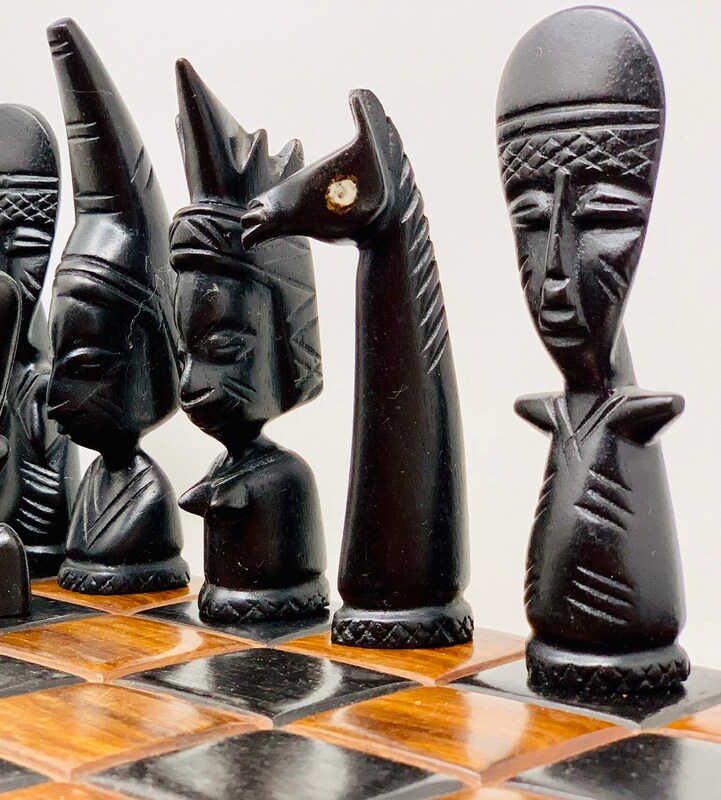 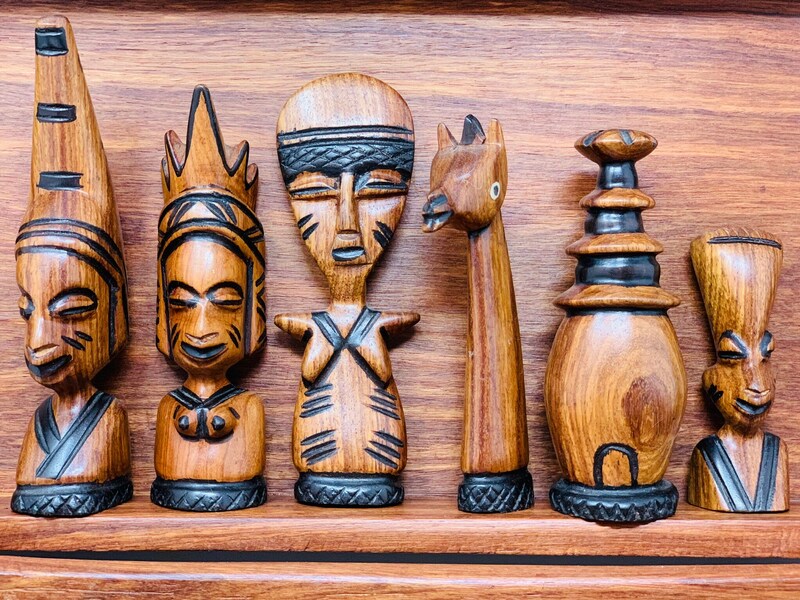 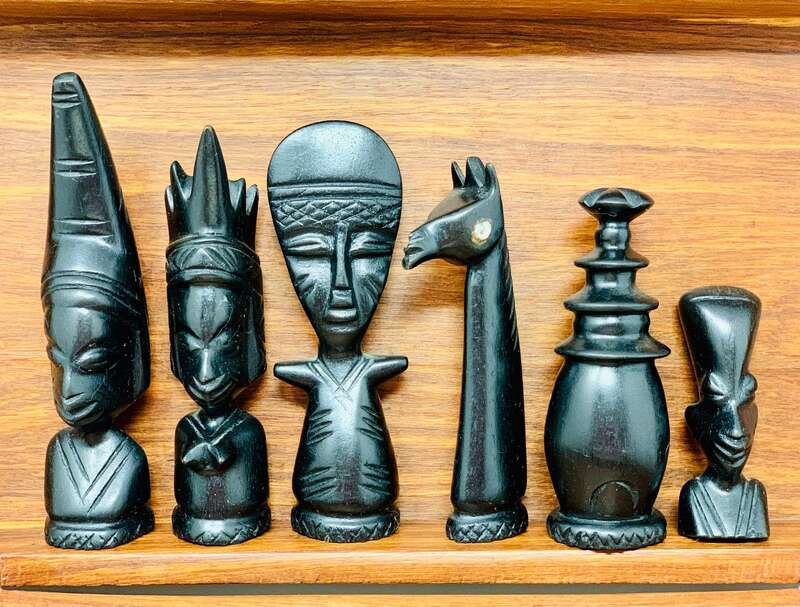 Thus we can recognize in this chess the most famous African figures of the history of the continent, with representation of the animal totemic of the tribe, the giraffe and their artisan huts. 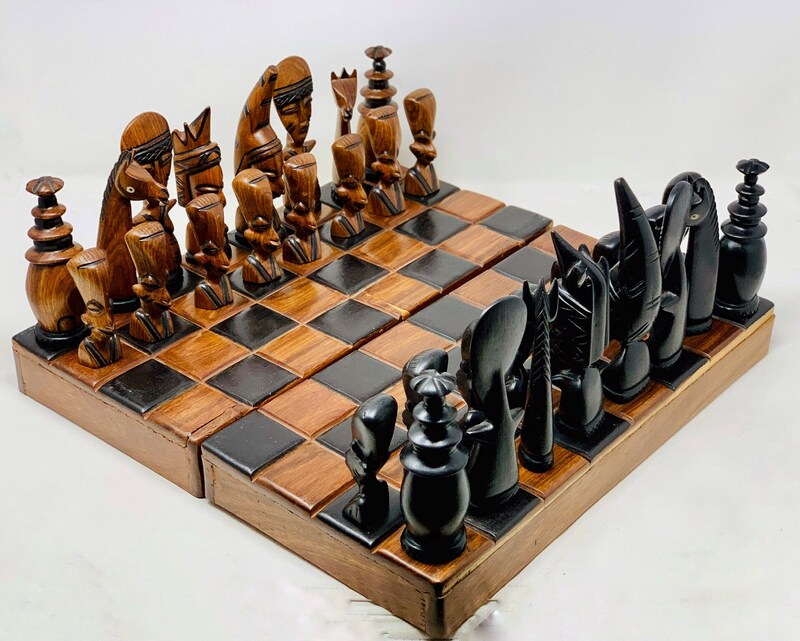 This chess and board are made of ebony wood and mahogany entirely with details of bone in animals.